A large Canadian Grizzly Bear has been terrifying hunters after he stole a gun from a tent and has been ambushing hunters and shooting them dead. Hunters say that they are afraid to go out into the forest as they don’t know where he is hiding or where he will shoot from next. 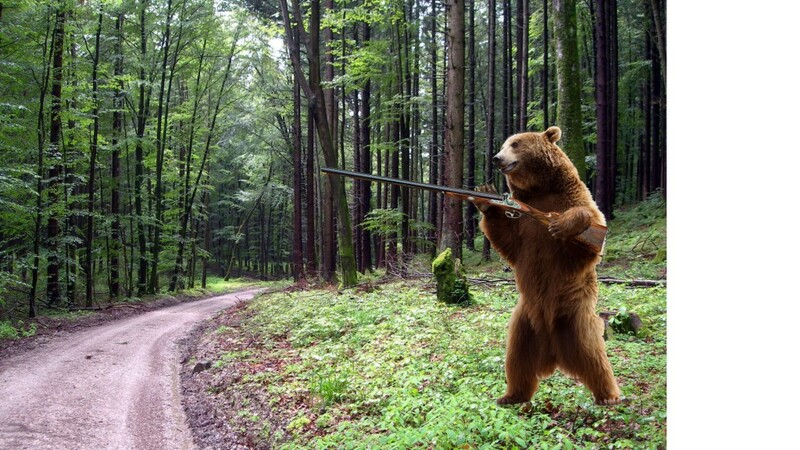 Watch out for the Killer Bear!